Allimed Liquid Garlic Supplement - Two ounces of liquid Allimed in a glass bottle with glass dropper dispenser. Ingredients: water, allicin. 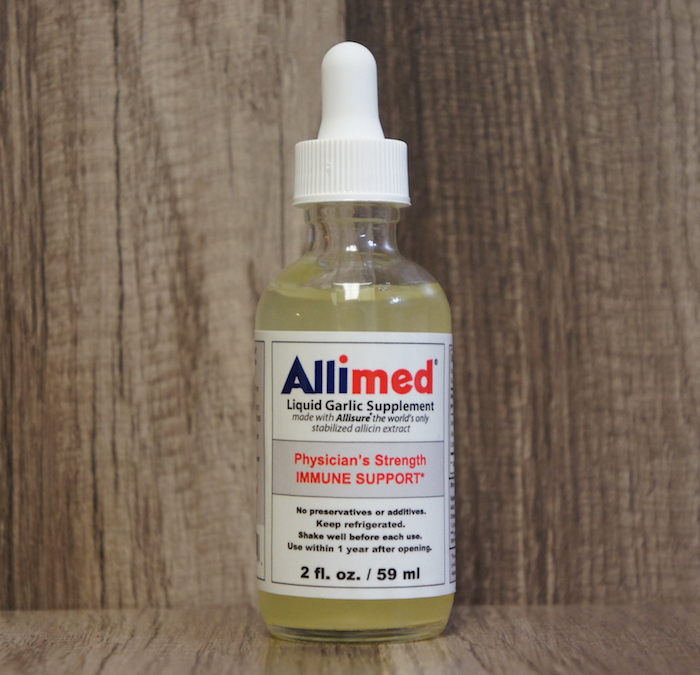 Allimed's stable allicin is physician's strength and patented for optimal health. 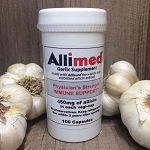 Allimed Liquid Garlic Supplement from BuyAllimed.com is available in liquid, capsule, gel and cream formulations. We offer free personalized diet and lifestyle counseling. Allimed liquid is the strongest form of Allimed available. Allimed liquid contains 100% yield of pure stabilized Allicin extract. Recommended for people who cannot take capsules. 2oz Adults: 1-6 drops daily by mouth, Children 1-3 drops daily by mouth, or as directed by your health care provider. Must be refrigerated. Immune support, Natural, Good for Vegetarians and Vegans. Been taking my Allimed capsules and 2 oz liquid with me when I travel. Small zip lock bag with a gel pack. Keeps me healthy on the road.